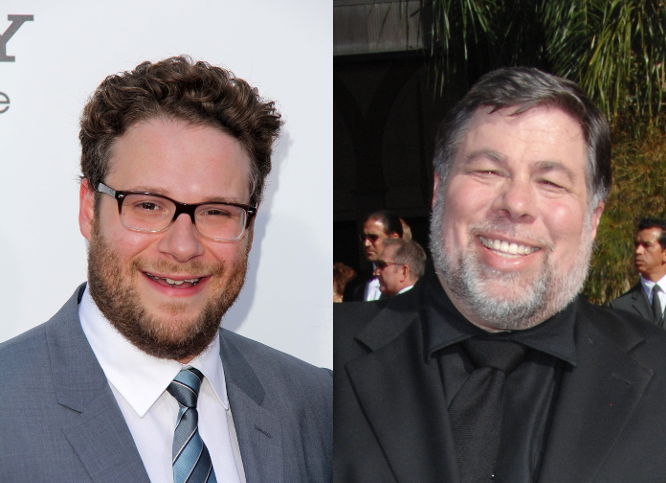 It looks like beardy funnyman Seth Rogen will take on the role of Steve Wozniak in the second biopic of Apple guru Steve Jobs, which has Batman actor Christian Bale slated to take the lead role. Bearded Rogen will play the bearded Woz, sources have told Variety and other Hollywood industry mags, in the Aaron Sorkin movie Jobs. Sources also say that Jessica Chastain is a possibility for the movie, although what role she would play remains a mystery. Jobs, based on Walter Isaacson’s biography of the big man, has already got Aaron Sorkin on as a writer and Danny Boyle as director, not to mention Bale for the top billing. The previous movie of Steve Jobs’ life, confusingly also called Jobs, starred Ashton Kutcher in the lead role, but didn’t do too well with the critics. Even Steve Wozniak himself weighed in on the movie, commenting on a Gizmodo review that the film was “fiction” and he wouldn’t recommend it. Woz is consulting on the Sorkin biopic, which will be in three acts, each depicting Jobs backstage before a big launch – the first Mac, NeXT and the iPod.